More Beats radio stations coming to Apple Music? For those who feel that Apple Music's Beats 1 radio station plays the same stuff over and over and over again, it appears that Apple will eventually launch other stations that will offer other formats. Many feel that the 24/7 streaming radio station is playing nothing but Hip-Hop, Alternative, and Electronic. The average song is repeated 3.7 times on the station, which doesn't allow for much variety. Last month, Apple filed with the USPTO for trademark and logo protection on "B2, B3, B4 and B5" along with "Beats Two, Beats Three, Beats Four and Beats Five." While the filings, which are being revealed for the first time today, don't guarantee that Apple will be expanding its Radio Station offerings in the near future, the deal Apple has with labels and artists reportedly gives it the right to operate a total of five stations. The USPTO applications are awaiting review. 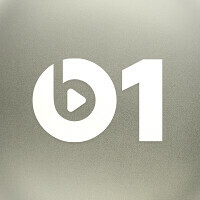 Beats 1 plays 24 hours a day and seven days a week, broadcasting to over 100 countries from studios in Los Angeles, New York, and London. If other Beats stations are launched, each one could be focused on a certain style of music. It also is possible that the new stations will feature DJs speaking different languages. Considering that the filings include logos similar to the one used currently by Beats 1, the odds favor that Apple will indeed be adding more stations in the near future. 3.7 times a song repeat! Sooo boring. I really don't want to be against Apple, but beats radio is nothing special. It is just a radio and you get it with thousands of different free apps.